The Apple iPhone X was the one flagship that took everyone’s breaths away, not only with its extraordinary features but also with its price tag. At around $1000, it was one of the costliest phones ever made. This had prevented many buyers from getting close to this device. Now, in the method Apple had launched the iPhone 5c, a new iPhone Xc may soon be on its way. When the Apple iPhone X was launched in India, it had a lukewarm reception. The Apple iPhone Xc could change all that and not only in India. According to a report by iDropNews, and some renders by the noted designer Martin Hajek, who has been proven to be pretty correct over the last few years, this new device may well be made out of plastic. 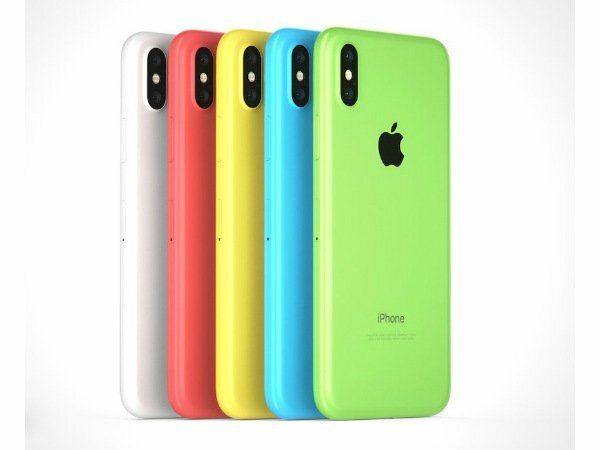 The fact that the iPhone Xc may have an effect not very dissimilar from the iPhone 5c may turn out to be a fact, after all, though we cannot independently assure the reader that something like this will ultimately happen. A plastic finish will also mean that it will not have a glass back and it will also not have the familiar problems which glass back have, namely breakages.Besides, being colorful on the rear may also indicate that the users will not have to spend too much on buying protective cases. Besides, the presence of a Truedepth Camera as well as the Animoji and Face ID capabilities. However, despite the fact that the device will lack the glass back, it is said to be capable of having wireless charging capabilities. To reduce the costs further, Apple will equip the phone with an LCD display instead of the traditional OLED display that we have seen in the iPhone X. Based on certain sources, we believe that the Apple iPhone Xc will have a price tag between $449 and $549.